Have a historic holiday in the home of the Dukes d'Acquarone! 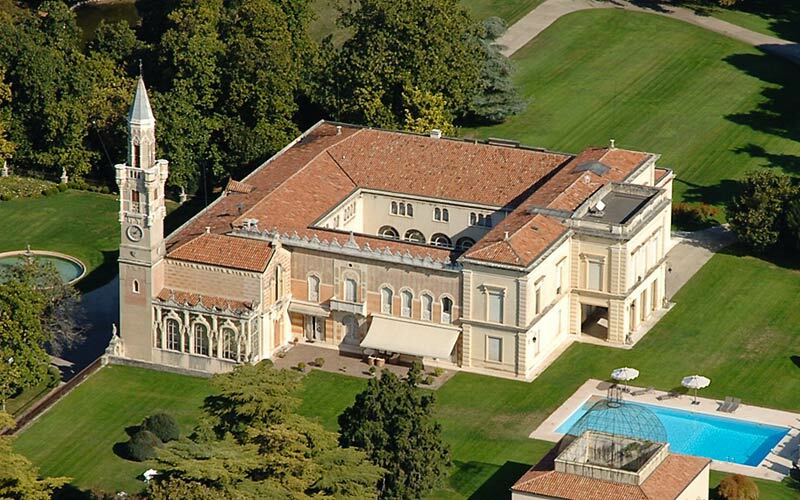 A holiday at Villa d'Acquarone is tantamount to a journey back in time, to the 18th century, when work to enlarge the palatial residence, commissioned by the wife of then Mayor of Verona, was completed. 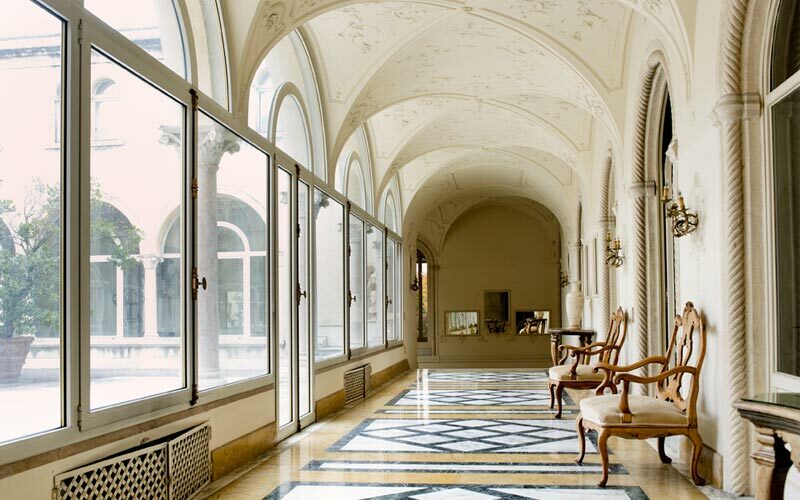 Step through the magnificent entrance gates of Villa d'Acquarone and get ready to be amazed.The main edifice is a veritable architectural masterpiece: four facades in four different styles - Moorish, neo-gothic, neoclassical and neo-Romanesque - overlooking the central courtyard. 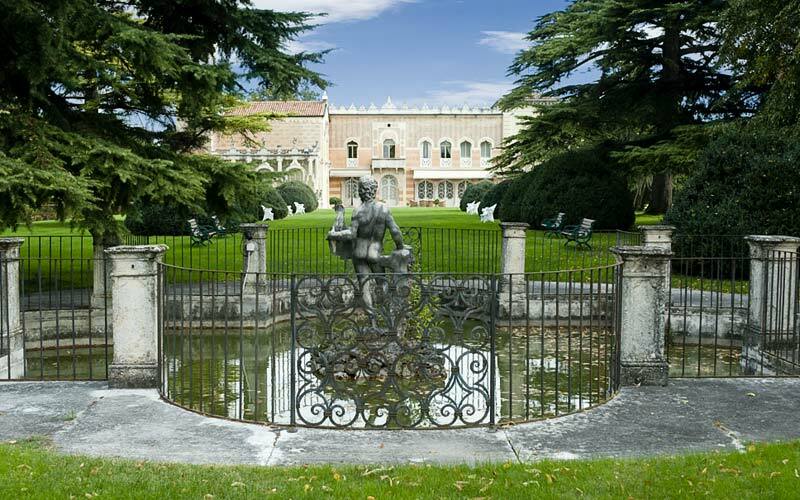 If you've always wanted to discover the history of Veneto's art and architecture, this is a great place to start! 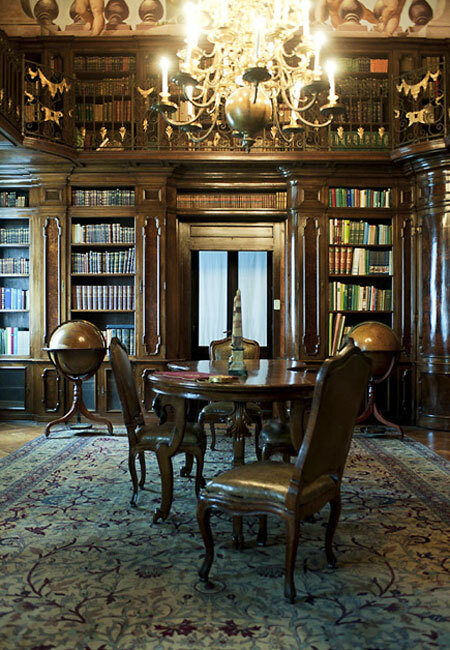 Centuries later, it is still only too easy to imagine the noblemen and women of neighboring Verona, sauntering through the villa's ornately frescoed salons, library and 17th century chapel before retiring to their bedrooms, rooms like the "Nobiliare bianca", "La Moresca" and "Gialla", which are now reserved for holidaymakers staying at Villa d'Acquarone. 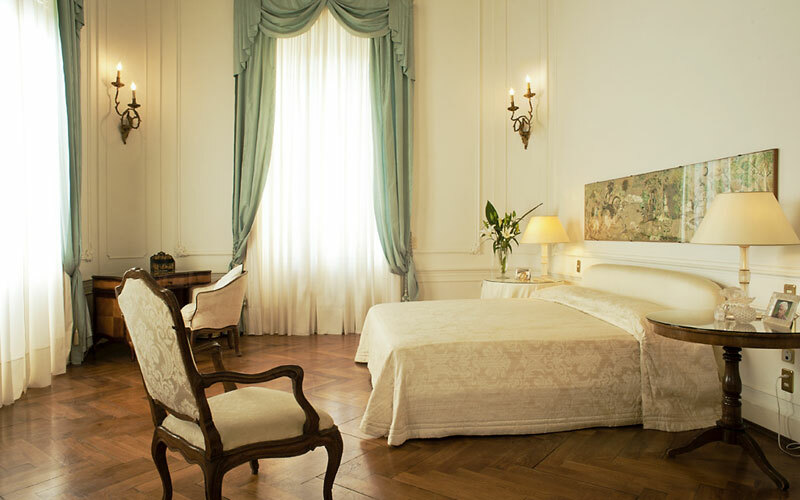 Here, guests sleep sweetly between silk sheets, surrounded by beautiful works of art and exquisite items of antique furniture. 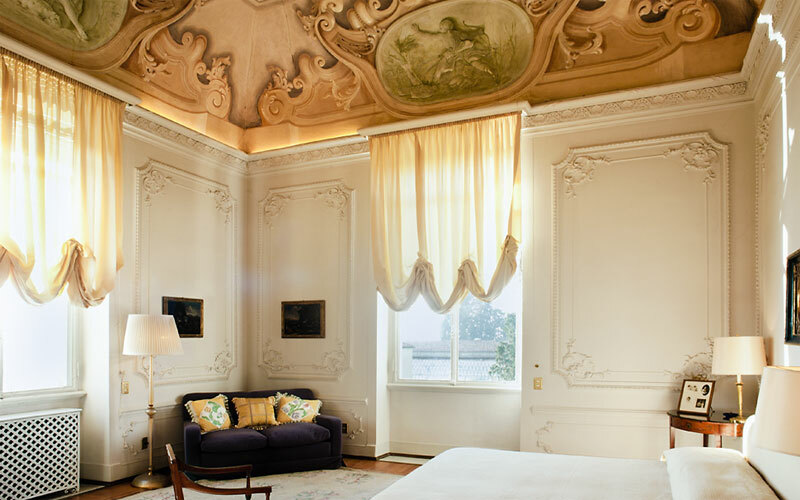 Rooms look out over the countryside of Verona and are equipped with plasma television, air conditioning and Wi-Fi. Bite-size guide to the art at Villa d'Acquarone: the frescoes on the ceiling of the Salone dei Venti were painted by Lodovico Dorigny in 1687; in the Chapel, the fresco dates back to 1684 and is attributed to Biagio Falcieri; the 17th century domed bell tower was the work of the Sanmicheli school. 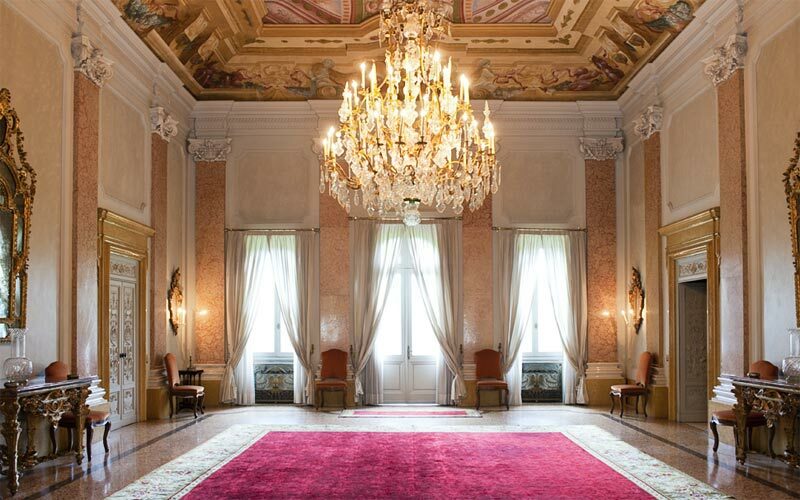 Just as you could quite easily spend hours admiring the frescoes in the Sala dei Venti, you might well pass entire afternoons strolling through the lovingly tended English Garden or lazing in the sun by the pool, near to the aviary. A number of jogging routes and cycle paths have been created in the villa's 40 hectare park. 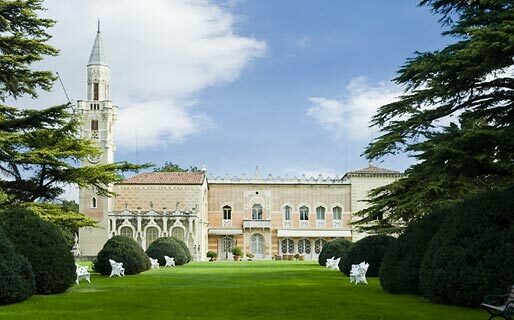 If you're looking for a really special location in the vicinity of Verona in which to host a fashion show, art exhibition or wedding reception or an exclusive venue for that all-important corporate conference or meeting, there is no place in the whole of Veneto quite like Villa d'Acquarone. The Villa's fabulous frescoed parlors, elegant dining room and gorgeous gardens, together with impeccable service make it the ideal choice for every genre of top class social or business event. In the last 30 days 35 people have visited this page. 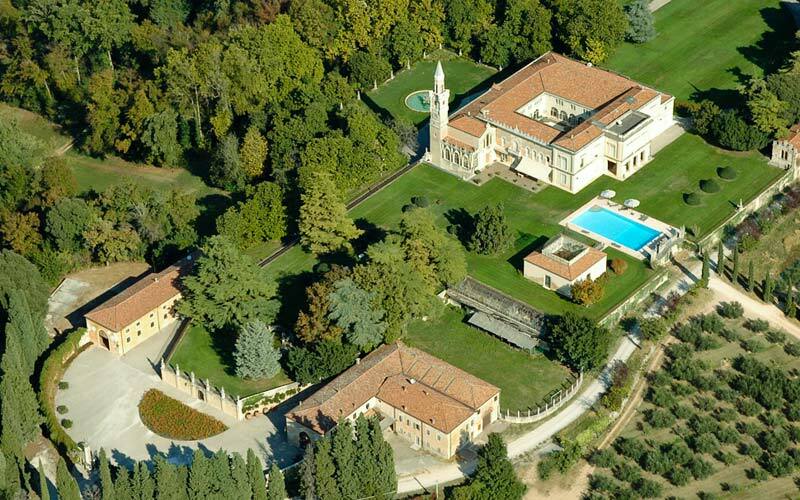 Situated in San Martino Buon Albergo on the hill of Musella, in the heart of a 300 hectare estate, Villa d'Acquarone is the perfect destination for those looking for a romantic retreat in the countryside of Veneto. The city of Verona is only a 15 minute drive away. Other popular destinations for day trips in the immediate vicinity of the villa include Lake Garda, Valpolicella and Vicenza.